A quick stop at the diary to get some bread and a cookie and off I am. 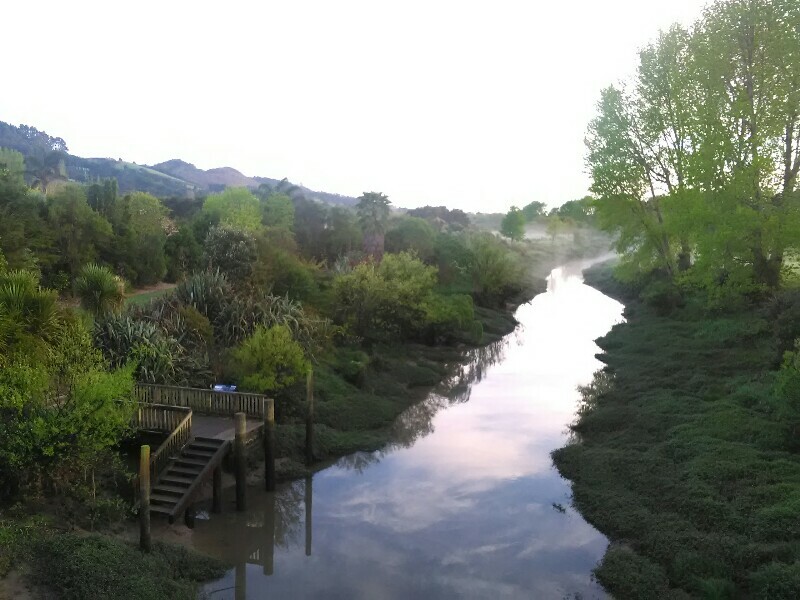 Initially a nice, quiet road walk until I start the Wairoa River Track. It would be a really well formed track, if it weren't for the muddy, uneven sections caused by horse riders. 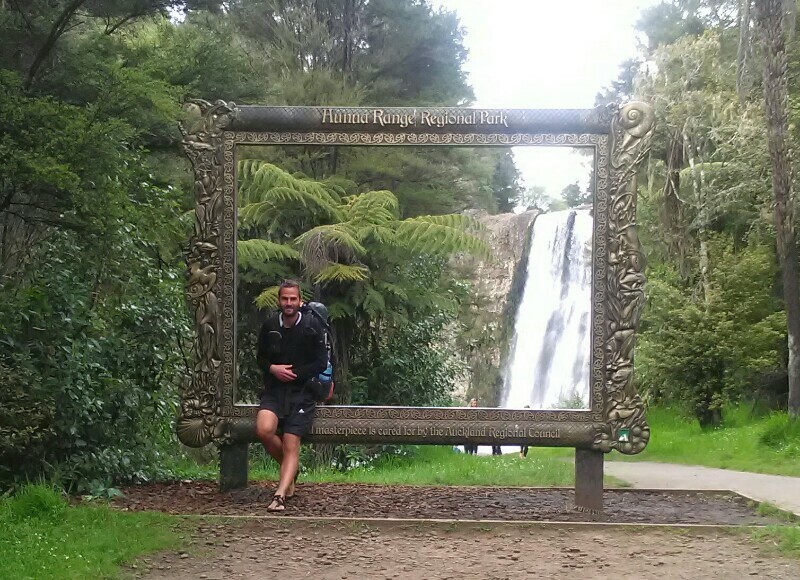 Still, progress is very good and earlier than anticipated I arrive at the impressive Hunua Falls. I enjoy the view and the roaring of the water until heaps of students, one of them with a ghetto blaster, destroy the piece. Well, time to move on anyway. With a refilled water bottle I hike or rather fly along wonderful Massey Track, a real beauty of a track, a highway! Way to soon I leave the track again and find myself on the 6.5 km Wairoa-Cosseys Track. Amazing how roots and mud drastically reduce my speed. From 5 down to less than 2 kilometers an hour. The trail eventually gets a little better and out of nowhere, there are some steps. First down then up again, then suddenly no stairs on a steep descend. Strange. Shortly before the end of the trail, the two super friendly American siblings Rose and Dylan close up. Together, we hike the remaining 13km to the camp, and I spend the whole remaining way as well as the evening chatting with them. Time flies and it's really nice to exchange stories with fellow TA'lers. Especially, as I haven't met any other hikers since Dome Forest. Hi Sandro, I`m following your blog from a rainy and stormy Norway, with a sore throat and high fever. Reading about your journey is just the perfect thing to do!